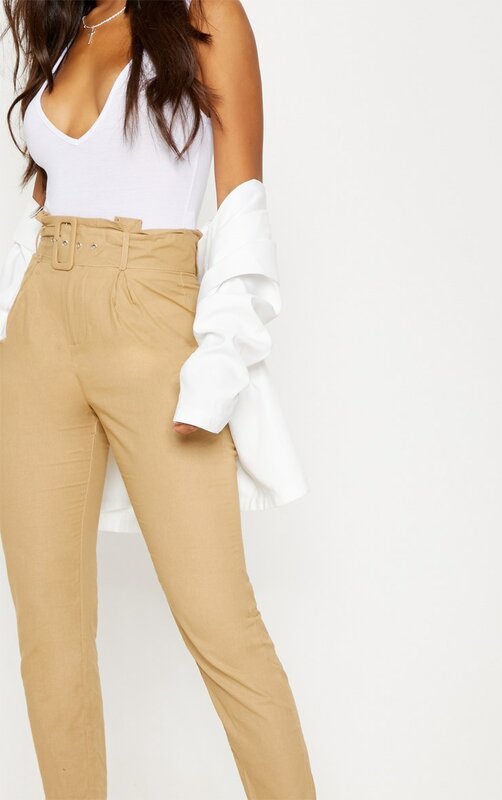 We are loving everything about these pants girl. 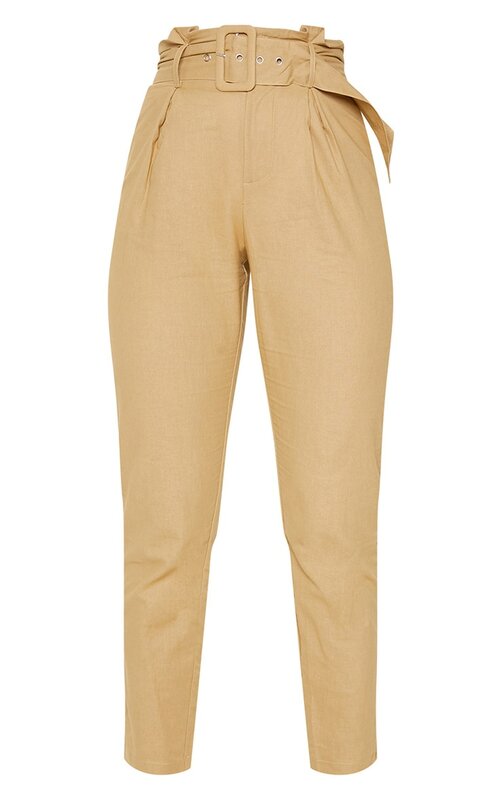 Featuring a stone paperbag material with a belt detail and a tapered fit. 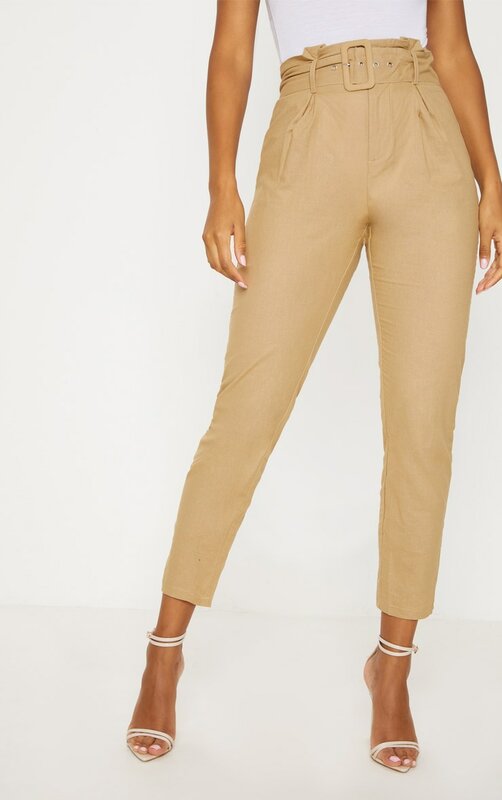 Style these pants with a bodysuit and strappy heels for a killer day to night look.